Sandman #44-46: Have You Got Anything With a Happy Ending? The Endless road trip turns deadly in Sandman #44-46. The Dancing Woman takes the stage, Morpheus works on himself, and Matthew would lend a hand, but hasn’t got one. 1:32 – What we’re attempting here is Ruby by the Kaiser Chiefs. 3:36 – Morpheus was caught in warlock Roderick Burgess’s trap intended for Death in Sandman #1. 4:44 – I’m referring here to our coverage of Sandman #38. 9:01 – I’m parroting one of the numbers from The Pirates of Penzance. 13:54 – Ruby’s musing on her earlier exchange with Morpheus can also be applied to her exacting search for a husband: meeting the right person isn’t about destiny, it’s about who she loves. Except, Ruby doesn’t treat love as blind, she subjects her suitors to credit checks. 16:29 – Nancy (who we’ll actually meet in the next issue) has chosen “Mai Lai” as her stage name – most likely a reference to the My Lai Massacre of March 16, 1968, when about 100 U.S. troops killed between 350 and 500 South Vietnamese civilians in the village of So’n My. Many of the village women were also raped. Nancy will be established as an Asian-American feminist, so maybe she chose the name as a form of protest – or perhaps just to see how many people around her realize how inappropriate it is. 19:16 – The “sleepy sickness” was covered alongside Morpheus’ imprisonment in Sandman #1. Morpheus dealt with the escaped dreams in the second story arc, The Doll’s House (which we covered here and here) in issues #9-16. 20:02 – It’s The Doll’s House. A Doll’s House is an Ibsen play. Like the comic, the painting depicts a group of fancily dressed men gathered around a partially dissected corpse. Anatomy lessons were a social occasion of the day, and like Dream, Destruction, and the Corinthian, the spectators would have worn their best. 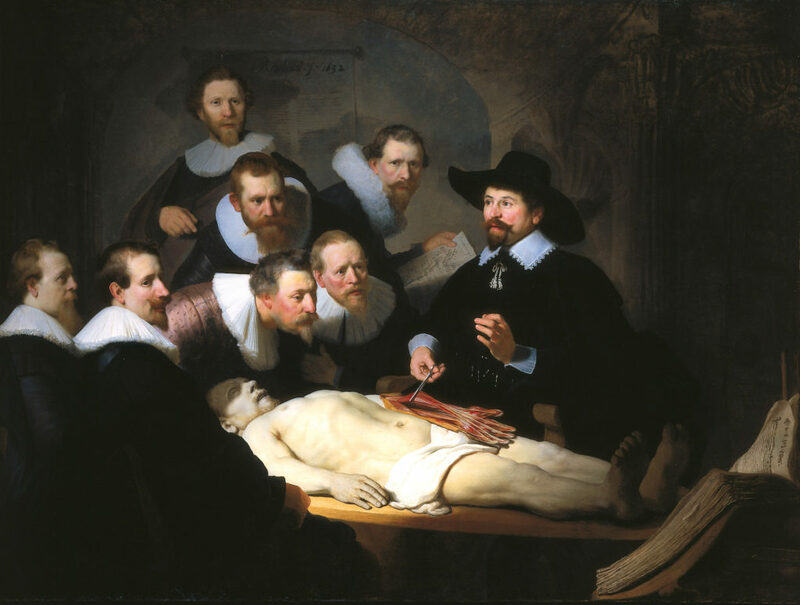 Rembrandt took some artistic license by depicting the cadaver’s hand sliced open first: in reality, the surgeon would have started with the chest, where the organs decay quickest. In the comic, Jill Thompson did not repeat the error. 23:56 – The Corinthian was a major focus of Sandman #14, “Collectors,” in which he was the keynote speaker at a serial killers’ convention. 32:25 – These repeated incidents may be suggesting that, by nature, the Endless can’t be around people unobtrusively. They have a massive impact on anyone they interact with directly, whether by accident or by their own arbitrary whim. In that light, it’s interesting that Destruction, who likes people, was the one to step away from his role as an Endless. 33:14 – Matthew, still in the coma, played a role in Swamp Thing (vol. 2) #76-77. That’s part of the Hellblazer crossover, the story in which Matthew’s wife, Abby, was agonizing over whether to sleep with her new husband – Swamp Thing – in John Constantine’s body. 33:54 – Ishtar is a famously flopped 1987 film directed by Elaine May and starring Warren Beatty and Dustin Hoffman. It’s an adventure-comedy about a pair of American songwriters in over their heads in a fictional Middle-East country. 34:45 – It went exactly like this. 35:50 – Constantine filed this grievance in Sandman #3. 35:56 – Everybody who reads comic books knows that! 39:45 – She’s not another version of Ishtar – American Gods’ Bilquis is based on the Queen of Sheba. 41:33 – Eric’s referring to MC Hammer’s 1990 album Please Hammer, Don’t Hurt ‘Em. 45:37 – Through Ishtar’s scenes with Tiffany, we’ve seen that she likes mortals and cares what happens to them. Perhaps this is the bad habit she passed on to Destruction? 46:16 – This comment seems to be a not-that-veiled insult. Even so, it’s interesting to see Dream again define other characters’ motives by their roles and duties, instead of choices and feelings. It’s a preoccupation for him. 48:43 – The really smoochy song (that’s how it was described to John Constantine in the Neil Gaiman-penned Hellblazer story “Hold Me”) was “Tonight,” from Lust for Life. Iggy Pop and David Bowie co-wrote it, and both recorded the song on different albums. 48:53 – “Sister Midnight” is another Bowie-Pop collaboration, aided by guitarist Carlos Alomar. 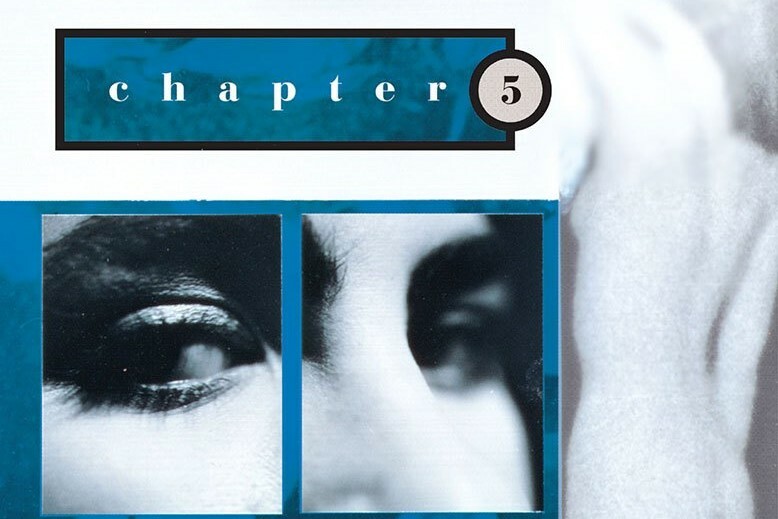 50:59 – As we discussed in our last Sandman episode, although Desire has been telling Dream and Delirium to abandon their mission, the original urge to find Destruction struck Delirium while she was in Desire’s realm. Dream, for one, suspects that impetus began with Desire, that Desire may have even put them on this path deliberately. 52:33 – Eric’s quoting a Brian Cox line from Super Troopers. 53:06 – In Ancient Egypt (Bast’s old stomping grounds), people who were rich or important enough to be mummified upon death had their organs stored in canopic jars that were kept near the body in the tomb. The four jars had lids carved with the faces of four gods: Hapy, Duamutef, Imsety, and Qebehsenuef. Since Bast is not one of those four, my reference to a carving of Bast being possibly a canopic jar was mistaken. 54:52 – It’s subtle, but from “especially not now,” we can infer that Destruction now knows his siblings are looking for him. 1:04:00 – That was a reference to The Matrix. 1:05:10 – It’s Joker/Daffy Duck. There’s a certain logic there. 1:07:45 – Eric’s a longtime fan of Metal Gear Solid. 1:10:07 – Training Day is a modern classic – the relevant scene is Scott Glenn’s mollusk joke. 1:12:31 – If you haven’t seen DC’s live-action Titans trailer, well… it’s pretty wild. 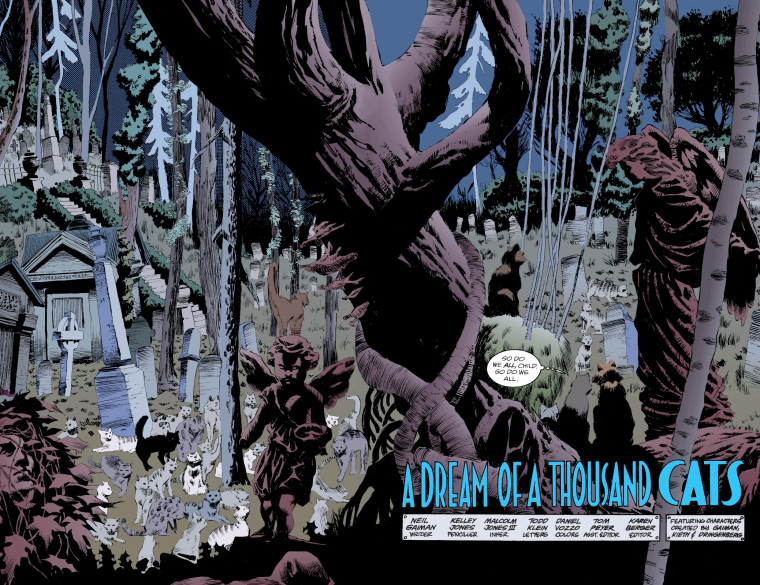 1:14:53 – Many, many issues of Sandman depict an individual’s encounter with one of the Endless – usually Dream – reflecting some aspect of the character or their cosmic significance. This time around, the viewpoint character is Delirium, and the facet of Dream under the microscope is his relationships with his family. 1:21:11 – The Good Earth is a 1931 novel by Pearl S. Buck. Rather than revenge, it’s mostly about farming.